If the Nexus 7 wasn't your first Android tablet, you may have noticed something different with the user interface when compared to other Jelly Bean tablets. You may not know exactly what it is off the top of your head, but it's there. In phone mode, the Wi-Fi icon, battery indicator, and clock are located at the top, but in tablet mode all of that stuff is actually on the bottom. A curious user in our Nexus 7 SoftModder forum had noticed the difference, like many of you probably have. It's not a phablet—it's a tablet—so let's make it look like one! You'll need to be rooted with a custom recovery installed. If you're not there yet, make sure to head on over to my definitive guide to softmodding your Nexus 7 tablet to root and install a custom recovery tool, then proceed below. 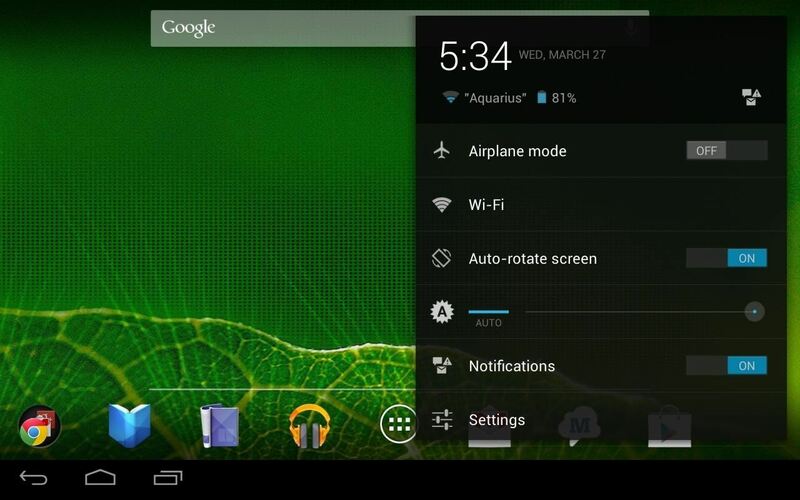 Before you begin, make sure you're running stock Jelly Bean 4.2.2, which is needed in order for this to work. Then, download the tablet patch directly onto your Nexus 7 using the appropriate links below for your model device. Browse for the .zip file you just downloaded. It will be either grouper.zip (Wi-Fi only) or tilapia.zip (Wi-Fi + 3G). Tap on it and Swipe to Confirm Flash. 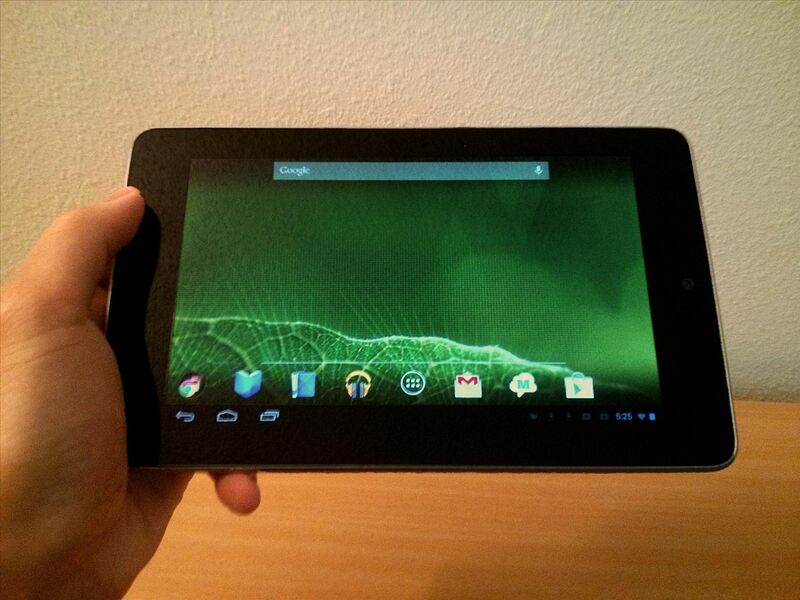 Then just tap Reboot and your Nexus 7 will now be a real tablet! 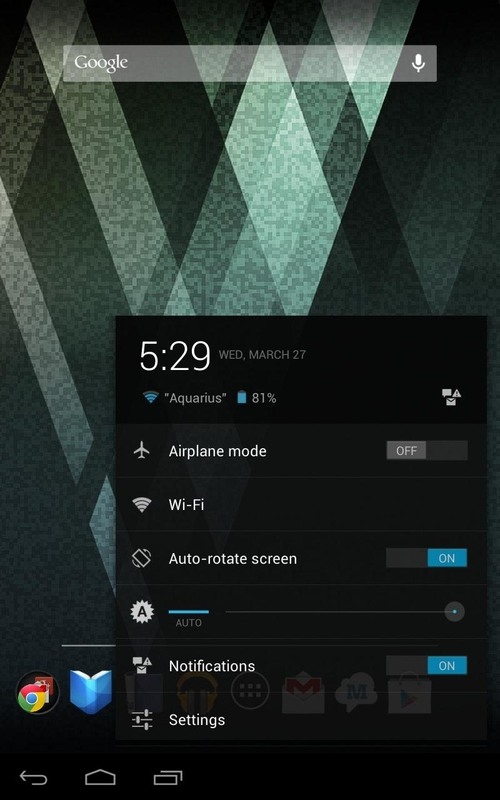 Here are a few screenshots of tablet mode enabled on my Nexus 7. Download this file on to your Nexus 7 tablet and repeat the steps to flashing a ZIP file. You'll be back to being unmodded! What do you think of tablet mode? Do you like it more than the original phone-ish mode the Nexus 7 uses out of the box? Share your thoughts (or questions) below. Hey Im new to this whole modding things. Here's a few question. 1-i rooted my n7, but without flashing custom rom. Can i still overclock it? 2-you said overclocking eats up battery. How can i easily change it back, like "gaming mode" to "battery saving mode" and vice versa. I might need it during travelling. Will this overwrite the Motley Kernel in the nexus 7 overclocking article? XDA!? I'll be sure to link back to the revert ZIP! I'm using Nexus 7 Tilapia. The mod make UI in landscape broken, and those software buttons don't disappear when watching movies or play game. Can I use the grouper file to switch back to stock UI? If not can you include zip file for tilapia. Yes, you should be able to use the stock_grouper.zip file linked in the article above (near the end) to switch back. If that doesn't work for you for whatever reason, you can always restore to the factory defaults. After flash the grouper file, my N7 just stuck at boot. It stayed forever at the nexus logo. So I went up to flash ParanoidAnroid with franco kernel 47. And it works really well. The tablet UI is much better now. So I'm gonna stay with this rom+kernel for a while and switch back to stock when 5.0 KLP is out. Thanks any way. Thats a good choice too. This patch was just meant for users who didn't want to go through installing a new rom. I must say it wasn't for me. It blocked icons @ the bottom of the screen. I do like the the separate notifications (swipe down left side) and quick settings (swipe down right side) which to me is how a tablet should be. This patch seems more like a failed web top notification bar implementation. Thx for including a link to go back. Well done how-to though. Does anyone know if there's a way to do this same mod on a Samsung galaxy tab 10.1 that runs on CyanogenMod 10.1? 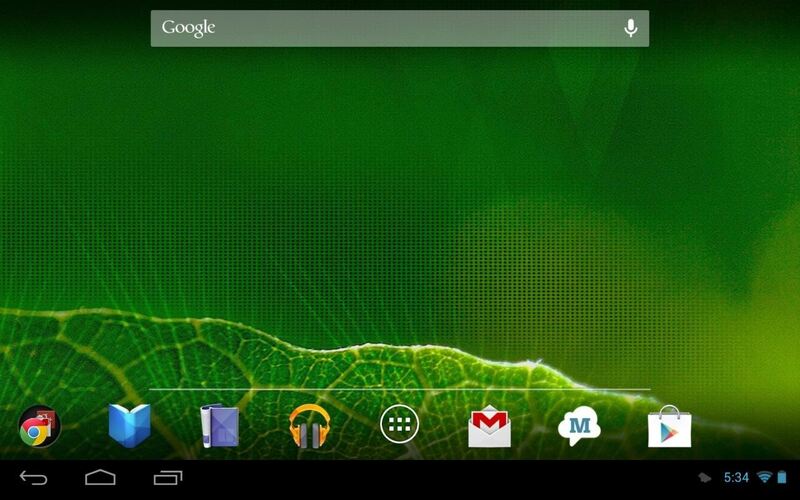 Use Nova Launcher from the Play Store and set it to tablet mode. 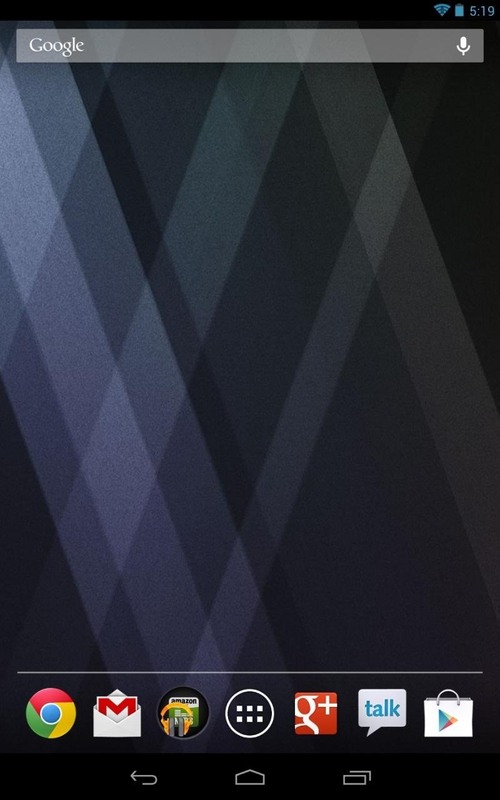 I could not find that setting in Nova Launcher Prime? I do know that Apex has a checkbox for TabletUI, but not Nova? Not quite. Nexus devices are just Google branded phones stripped of all customizations. 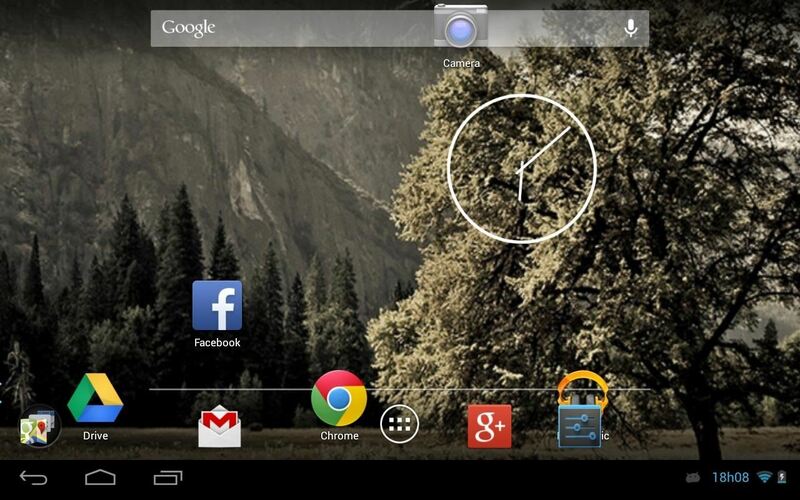 Google chose to not use the tablet UI on the Nexus 7 because of the lack of proper tablet apps. Plain and simple. Using the phone UI on the Nexus 7 means apps will always scale and look like their phone counterparts. hey, nice website! since yesterday I've been reading some good tutorials.. I've a doubt, does this work with 4.3? I updated my nexus 7 yesterday, and I'd like to use that Tablet UI in my nexus 7.. It's not compatible yet. Alternatively, use a 3rd party launcher. im confused totally! I my nexus 7 wifi is running android 4.3 but unknowingly, I flashed it with the above zip file. since then, my tablet has not been booting past the os logo. I've tried all sorts of methods to make it work back like using the stock grouper, using various tools on nexus tool kit, downloading 4.3 factory image etc but all were futile. please I need a swift response from you. I will appreciate If help can be forwarded to my email account, amoondnet@yahoo.com. thanks in anticipation. i'm installing the grouper file but the tablet ui won't show up...i have rebooted many times ! Any ideas on how I take it back to 4.2.2 ? The Nexus 7 2013 model cannot be downgraded to 4.2.2. The OS for that doesn't exist. Only the older 2012 model can be downgraded. awesome website... i'm more than happy to have an N7 and continue to believe that its specs are very much suited to my needs. there's always a temptation to grab newer gadgets simply because they 'perk them up' with higher spec stats, when one will actually not end up using them. i've been with forums.xda for some time already, and i chanced upon your site. great work. would have been great if the 'tabui' were to work on my N7 grouper wi-fi, 4.2.2. i didn't read the instructions well, i flashed it and nothing happened, (i hope flashing it won't be a problem) and i realize that it only works on STOCK. i've recently shifted to cyanogenmod 10.1.3, and thanks to your site i've also flashed in the franco kernel which seems to show improvements in power management. anyways, you can't have everything. btw, just a quick one though: in case you may give me some link. i observe that after mounting an external usb, root explorer doesn't behave properly, or at least takes a while for it to 'refresh' the directory contents of the internal SD partition. There is no need to root the Tablet its perfectly fine AND This is Tablet mode for the Nexus 7 not PHONE MODE. Google puts in their own interface so it could look different than any android, to tell you the truth the tablet looks better this way instead of it being all cluttered in the bottom. Why just not install Cyanogenmod instead of just messing with the interface of the Tablet because its just going to cause to many problems on the tablet itself. Hi, is there still a point to flash custom ROM and Franco if you have 4.4.2 kitkat?